Below you can view all the homes for sale in the Valenca Summerlin subdivision located in Las Vegas Nevada. 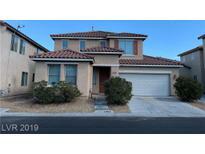 Listings in Valenca Summerlin are updated daily from data we receive from the Las Vegas multiple listing service. To learn more about any of these homes or to receive custom notifications when a new property is listed for sale in Valenca Summerlin, give us a call at 702-930-8014. 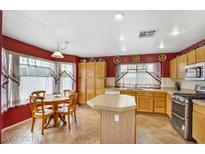 Close to parks, shopping and dining MLS#2086584. Platinum R.E. Professionals. Beautiful 2 Story Hm In Desirable Sw Las Vegas W/ Community Park In The Subdivision* 4 Bedrooms, 2.5 Baths*formal Entry Way W/ Vaulted Ceilings & Pot Shelves* Separate Living & Fam Room*open Kitchen W Ample Cabinet & Granite Counter Space, Island, & Pantry*tile Flooring Throughout Down Stairs*new Carpet & Paint Upstairs*nice Backyard W/ Fruit Trees*all Appliances Included*nearby Shopping, Schools And Freeway*ready To Move In*a Must See! ! MLS#2084399. ERA Brokers Consolidated. All window treatments included. All appliances stay. MLS#2078392. Keller Williams Realty Las Vegas. This Home Has It All, Just Waiting For You! ! MLS#2074922. Platinum R.E. Professionals. Grand Master Suite w/ Spa like Retreat! Move-in Ready!! ! MLS#2050352. Maxim Properties. 2nd bedroom is over sized. Granite around fire place. MLS#2046733. Top Tier Realty.